Filo was originally born from a monster egg which Naofumi purchased from the slave trader, which the trader used as a business front. Originally Filo had the appearance of a small pink Philorial chick ( much like an actual chick) and would sit on top of Naofumi's head when they were on the road, however, Filo grew very rapidly and within a few days was the size of a normal Philorial, this was thanks to Naofumi's monster tamer shield, which he unlocked from some egg shell's his shield had absorbed. Filo also has exceptionally fast legs, so much so in fact that she was able to beat a dragon in a foot race. Filo's growth however was not done at that point as a day later she had grown to exceed the size of a normal Philorial and upon interrogating the slave trader, he found that that she is the "Philorial Queen". Naofumi, wanting to know more about a Philorial Queen, offered to have the slave trader take care of Filo for a few days, but, shortly after leaving her, he was called back due to a ruckus she had caused. 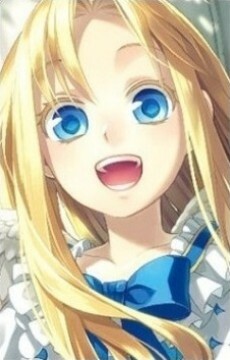 After Naofumi and the slave trader get into an argument, a strange voice was heard from the cage Filo was in, and much to everyone's surprise, Filo transformed herself into a small human girl with blonde hair and reached out for Naofumi as he turned to leave.